Lettuce, chopped tomatoes, cucmber and onion tossed with Caesar dressing. 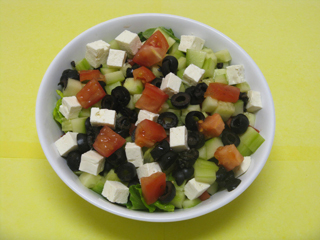 Lettuce, chopped tomatoes, cucumber, olives and Greek feta cheese tossed with vinegar and olive oil dressing. 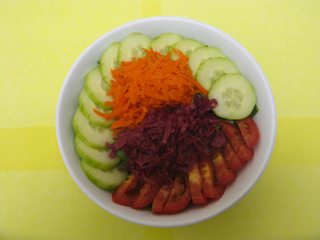 Grilled ground beef with lettuce, chopped tomatoes, cucumber and onion tossed with your choice of dressing. Grilled fresh chicken with lettuce, chopped tomatoes, cucumber and onion tossed with your choice of dressing. Chopped cucumber, tomatoes, onion tosed with lemon juice,olive oil and mint.